When a warm breeze blows in a clear sky, nothing compares to a dip in a crystal clear outdoor pool. The weather is fickle, however, and can turn an idyllic setting into Poseidon`s playground in no time. That is why indoor pools are becoming increasingly popular with new pool buyers. Though an enclosure adds significantly to the cost of a pool, it also guarantees perfect swimming conditions year-round. In many regions of the country, an enclosure can turn a 90-day swim season into a 365-day pool party. The best time to plan for an indoor pool is during the design and construction of a new house. With the right architectural help, however, it may be possible to seamlessly add an indoor pool to an existing home. Either way, it is important to work with an architect who has a lot of experience designing indoor pool rooms. 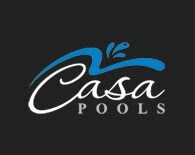 Fiberglass Pools can be constructed indoors, and the installations can be as simple as a lap pool or as elaborate as an indoor water park. Many people add changing rooms, showers, exercise facilities, steam rooms, saunas, wet bars and other amenities to their indoor pool installations to create a health spa atmosphere. The possibilities are limited only by imagination and budget., and the most advantage of Fiberglass pool, is that they are almost 100% leak proof, and by that you save your building constructions. Whether a pool is destined for indoors or outdoors, most builders will construct it the same way with one major exception: an outdoor pool deck slopes away from the pool to keep debris and runoff from entering the pool, whereas an indoor pool deck slopes toward the pool to keep water away from walls. Because an indoor pool does not have to deal with the freezing and thawing cycles that an outdoor pool might have to, builders can use a wider variety of materials, such as glass and ceramic waterline tiles smaller than 6 x 6. Architecturally, an indoor pool room may look like the rest of the house, but in terms of engineering, it is quite different-especially when it comes to heating and ventilation, which are key to ensuring comfortable humidity levels. In some cases, you can expect to pay as much for the air quality equipment as you do for the pool. The air quality of indoor pool environments has come under heavy scrutiny in recent years. Ideally, the humidity level should be maintained at 50 to 60 percent, either by exchanging humid air for fresh, drier air or by installing a dehumidification system. Any dehumidification system should be carefully designed to make sure that air is not forced across the pool surface, which can speed up evaporation. Rather, air should be evenly distributed over the outside walls to prevent condensation.